I have on various occasions discussed the saga of the Kodak patent portfolio and how a valuation of $4.5 billion for only part of the portfolio ended up in a sale and licensing of just above $500 million. Explanations have been sought to explain this colossal drop from the multibillion dollar estimate in late 2011 to a payout of only a fraction thereof within less than a year. An interesting attempt to provide answers has been offered by Mark Harris, a journalism fellow at MIT. Entitled “The Lowballing of Kodak’s Patent Portfolio”, here, and brought to my attention by the ever-helpful Patents Analytics group on LinkedIn, the piece is well worth a full read. Permit me to provide the highpoints of the article. 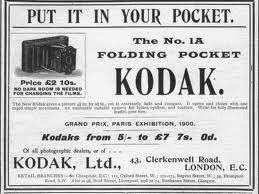 Even as Kodak sank deeper and deeper in its competition with Fuji and others, it continued to engage in innovation, spending nearly $500 million yearly. In so doing, it came up with inventions such as the megapixel camera. By 2012, Kodak had assembled a portfolio of 22,000 patents in 160 countries and earned more than $3 billion in licence fees between 2003 and 2011. As bankruptcy loomed, the company saw the sale of some of its patents as the way back to reinventing the company as a commercial packaging and printing enterprise. The anticipation that its patent portfolio would fetch a reasonable sum seemed reasonable in light of the sale of the Nortel portfolio for $4.5 billion and Google’s expenditure of over $12 billion for acquisition of the Motorola Mobility business and patents. Consultants chimed in with estimates ranging from between $1.8 billion and $4.5 billion for the Kodak portfolio, against the backdrop of what should appear obvious—“patents are unique and idiosyncratic assets.” In particular, in July 2011 Kodak hired 284 Partners, here, who had been the consultants in the Nortel transaction, to advise Kodak. Focusing on 1,730 patents, the company employed a discounted cash-flow analysis, here, to estimate their value via licensing and litigation, if required. Based on this analysis, it came up with a cash flow of $3.07 billion from 2010 to 2020, with a net present value of between $2.2 billion to $2.6 billion. Kodak relied on that estimate and proceeded to seek purchasers for the patents via an auction against the back drop of ongoing multiple litigation. Unfortunately, two weeks before the auction was set to commence, the US International Trade Commission ruled invalidated a key patent that led to a reduction in the estimated value of its portfolio to around $1.4 billion. This downward trajectory became much more pronounced when only two bids were made, the higher of which was only $250 million dollars. This amount was less than the company needed to secure loans that it had arranged for the company. "The potential bidders, it turned out, had organized into two camps. In one, Adobe, Apple, Facebook, and Microsoft formed a consortium led by Intellectual Ventures. In the other, RPX mustered Amazon, Google, HTC, Samsung, and the photo-printing website Shutterfly. Each participant in such a consortium gets to keep a share of the patents and a license for the rest. The cost to each is relatively low, and all gain the protective power of the entire portfolio". At the point, as the court allowed the auction to continue, Intellectual Ventures, here, and RPX, here, perhaps the two most prominent patent aggregators (although each with a quite different business model), put together what Harris called “a superconsortium”. The two existing consortia merged and added three additional members-- Fujifilm, Huawei and RIM, with a combined market capitalization at the time of $1.5 billion (more or less the GDP of Australia). It was November 2012 and the parties reached their High Noon, here, moment. Kodak needed more money than what was being offered to secure financing of $793 million, namely such financing being contingent on Kodak raising at least $500 million from its patent portfolio. The result—the superconsortium offered $527 million in exchange for payment of $94 million for the patents under negotiation plus $433 million in licensing fees for tens of thousands of Kodak patents that had not previously been on the negotiating table (plus the mutual dropping of legal cases against each other). To put the $94 million amount in perspective: it was 4% of the initial valuation given by 284 Partners. As Harris notes, the deal was monopsony (monopoly power by the buyer) gone wild. The reader is invited to read the Harris piece in its entirely but, even after a careful perusal, two comments remain. First, there is the question is the role of investment banks, especially in connection with the early estimates that proved to be delusionally oversized as a matter of market dynamics (though there is some question whether this particular market was distorted by anti-competition law forces). Did the banks contribute to an environment that was conducive to bubble-like estimates in the value of the portfolio? Second, is the discounted cash-flow analysis still defensible or have we reached a stage where top financial minds need to come together with IP types to develop a more valid and reliable measure of patent portfolio valuation? Finally, for those of you too young to remember Barbarians at the Gate, see here.